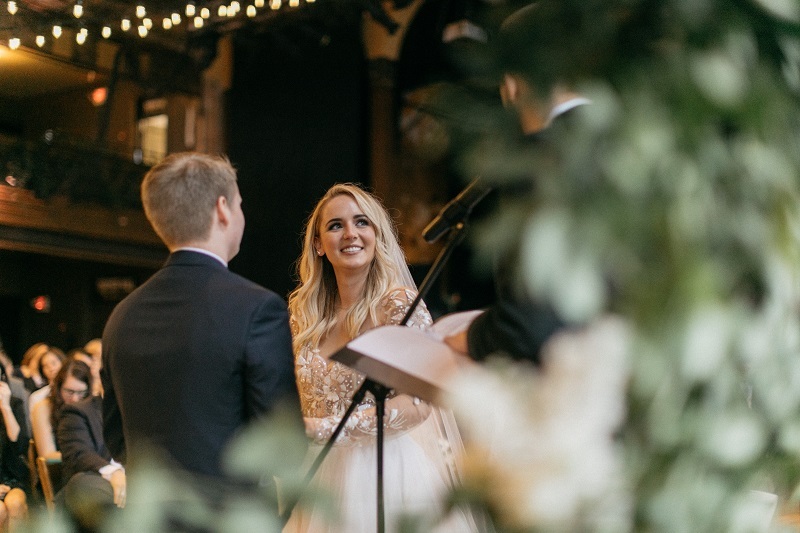 So excited to share this sneak peek from the talented Alma Films who documented our winter wedding photo shoot at The Hutton House in Medicine Lake Minnesota this past March. Much more to come soon from this collaboration with some of the best wedding vendors in Minneapolis! We are excited to introduce our new little sister company Audrey’s Thyme named for Dani’s baby girl Audrey. 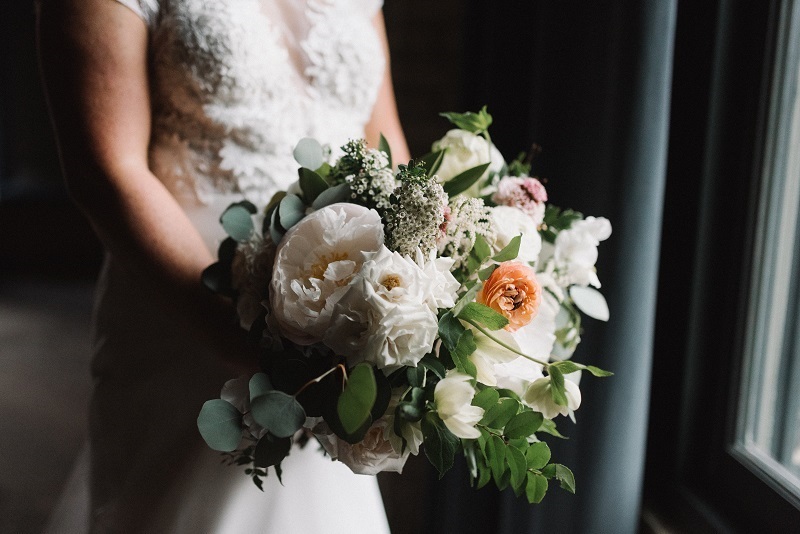 This branch of our floral business offers DIY bulk wedding flowers and rentals in the Minneapolis St. Paul metropolitan area for those creative brides looking for a different and fun way to do things themselves. Check out the website for more information! 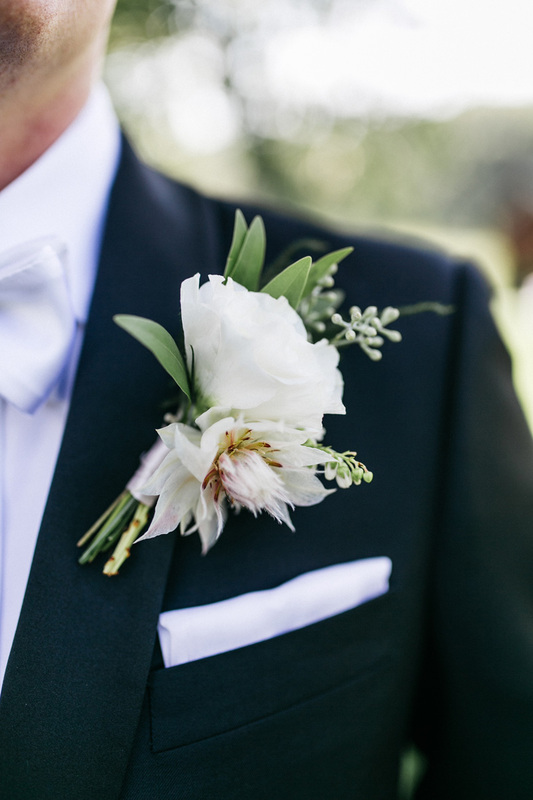 Photography by Shasta Bell Photographie. I love neutral colors, in fact my entire house revolves around soft greens, cream, peaceful blue grey, khaki and greys. But I always jump at the chance to create something with color, especially a complex bohemian color palette with De Vasco Daughters! 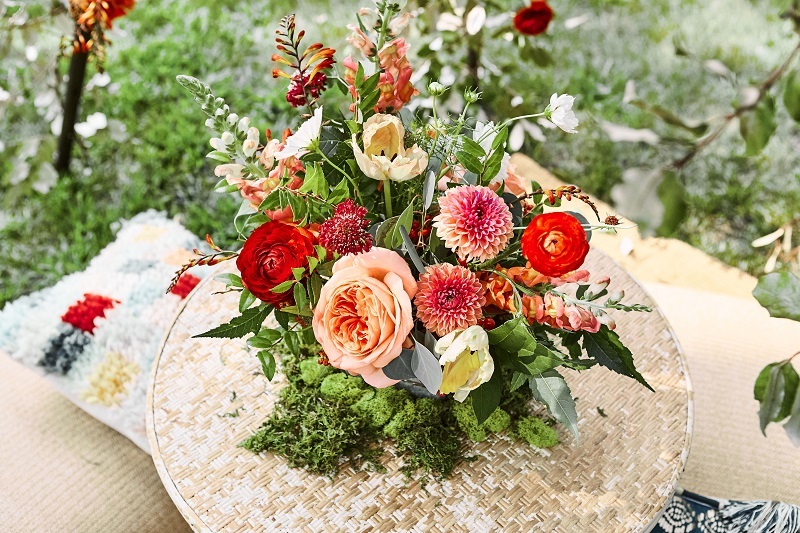 Those exciting bold reds and corals with pops of yellow and orange-pink really speak to me and they are perfect for a fun and relaxed event like this afternoon bridal shower outside of Minneapolis Minnesota in Bloomington in August. 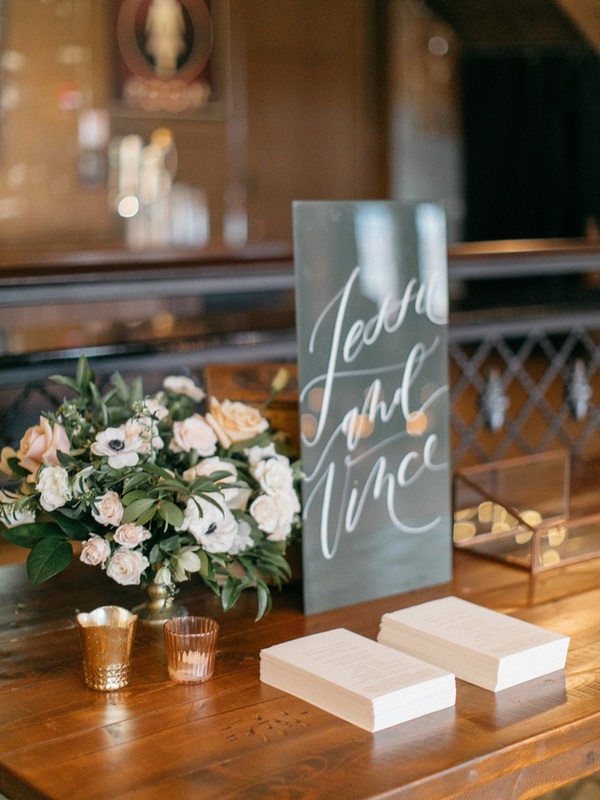 Accents of moss, gold and bronze metals and eclectic table settings styled by twin cities wedding and event planner De Vasco Daughters welcomed the guests to this intimate outdoor event. 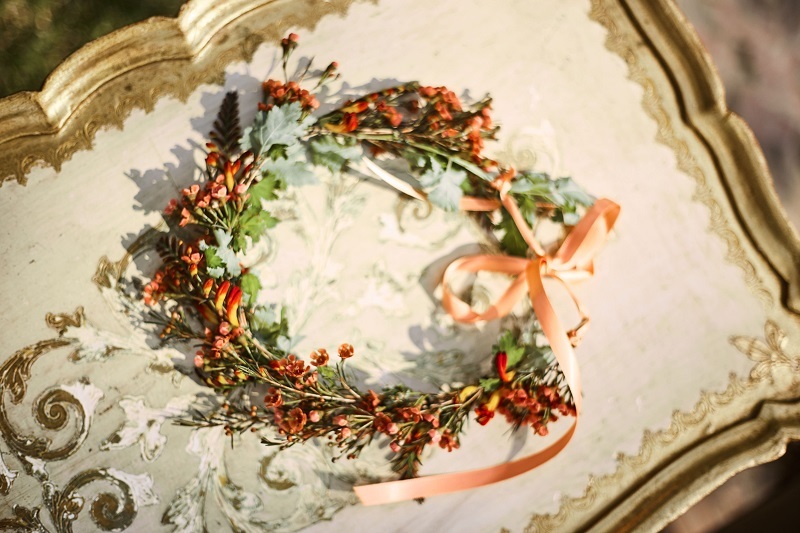 A floral crown was worn by KP the bride, a moss and flower chair was a welcoming focal piece as guests arrived at the party and a bohemian floral teepee created the perfect place for pictures. Photos are provided by Perry James Photography. 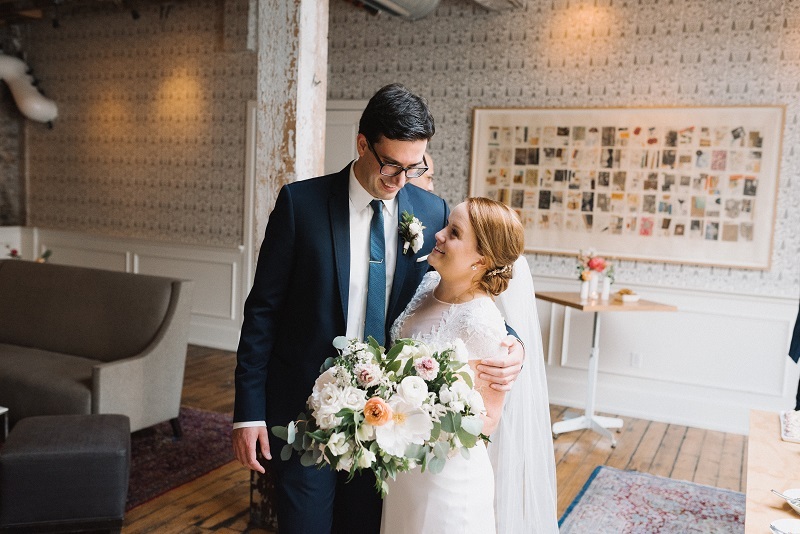 Catherine and Quinn chose The Bachelor Farmer in Minneapolis for it’s intimate and eclectic style. Originally we had planned on neutral flowers in the space but in the end Catherine decided to settle on happy and colorful pops of spring color. 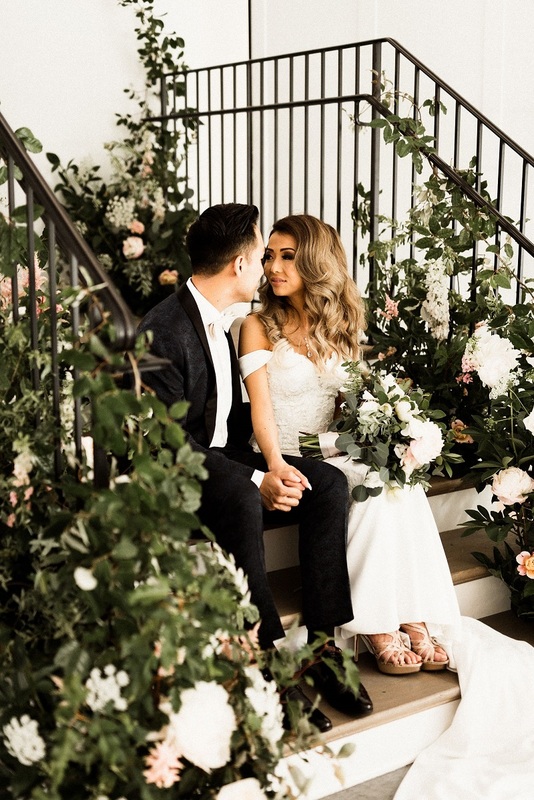 We kept the wedding ceremony backdrop floral installation romantic whites and creams for a timeless feel against the textural and rugged urban wall upstairs. 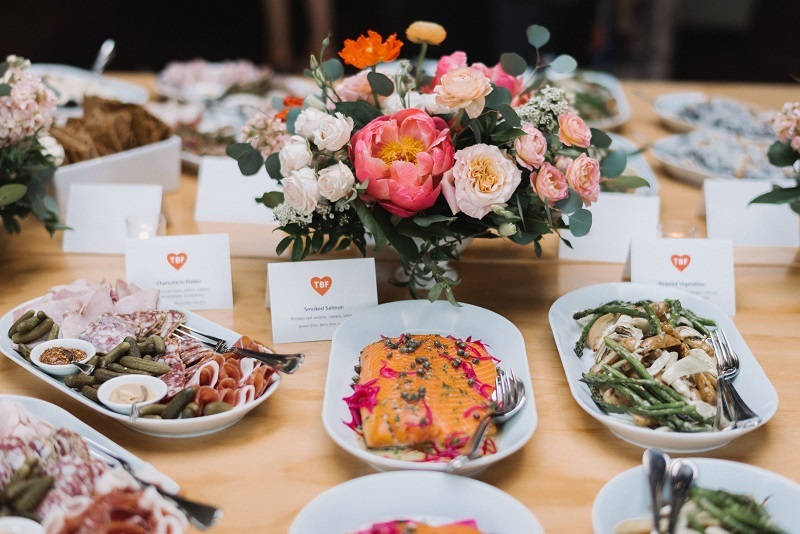 Delicious and artisan food was provided by The Bachelor Farmer for this intimate and non traditional wedding and photographed by Jonny and Liz. 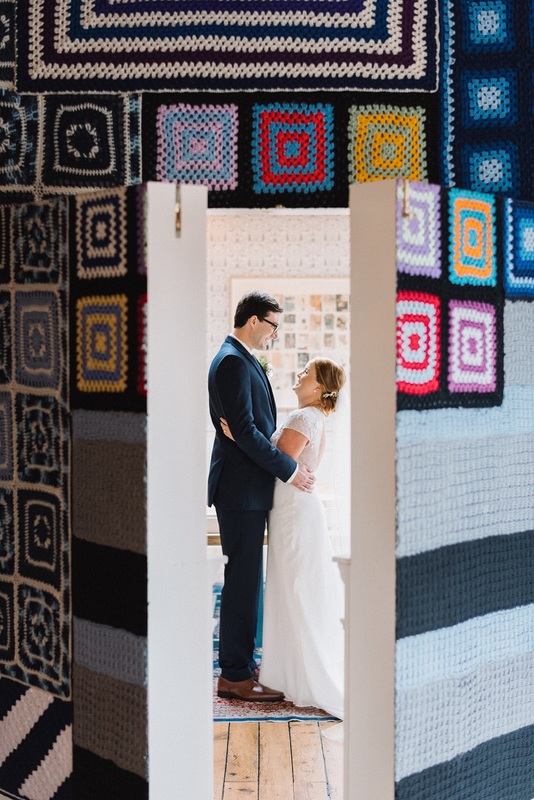 Audrey and Allen were married on a warm and rainy day at the Hutton House outside of Minneapolis in early July. We were almost ready to set up the ceremony inside the venue by the fireplace when the rain finally stopped and the sun came out. We were able to design the arch Audrey had her heart set on out in the Hutton House courtyard. 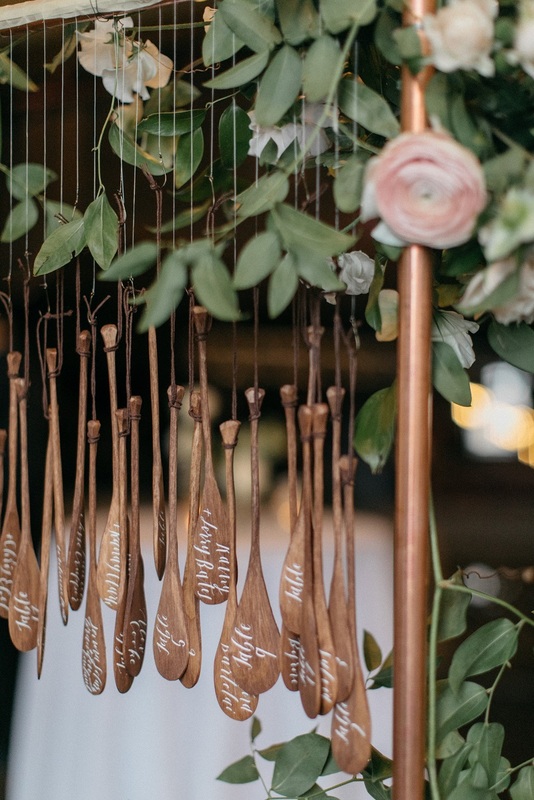 The color palette included romantic neutrals, blush and mauve tones with gold and rose gold accents. 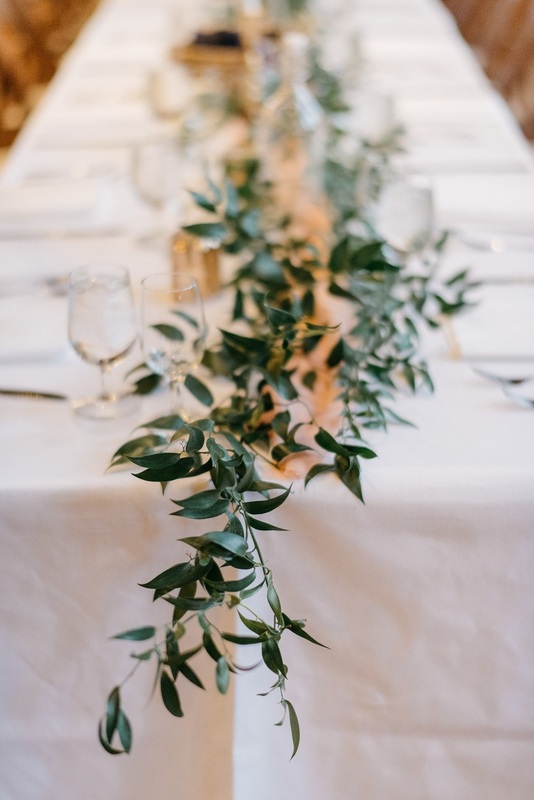 Tall floral centerpieces created a statement for the reception dinner and gold candelabras with winding greenery and pink votives brought warmth into the large white space. Thanks Audrey and Allen for choosing us to be apart of your day! 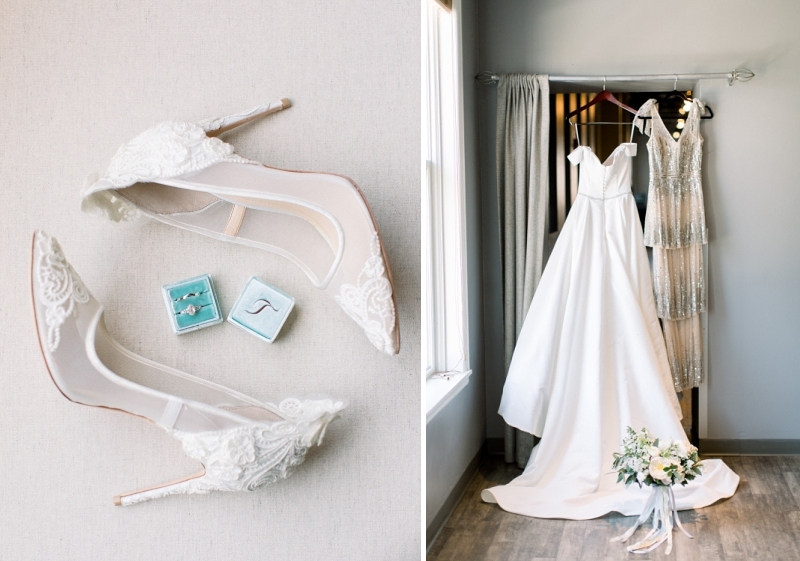 Images provided by Tandem Tree photography. The talented mother and daughters planning team Devasco’s Daughters asked me to be a part of this event for local Minnesota artisans in late October at Ace General Store in Excelsior Minnesota. 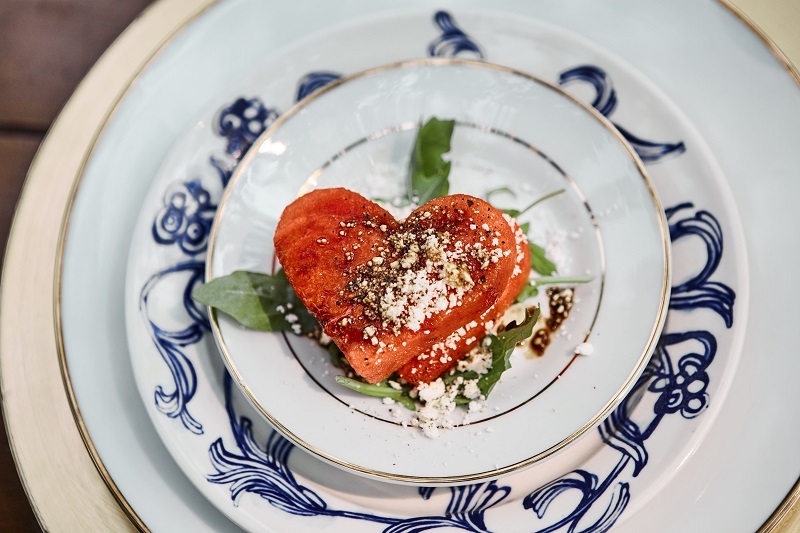 This intimate outdoor dinner celebrated a sense of community and a beautiful meal along with new and old friendships. A bonfire and unique local brews from Excelsior Brewing Company finished the evening. 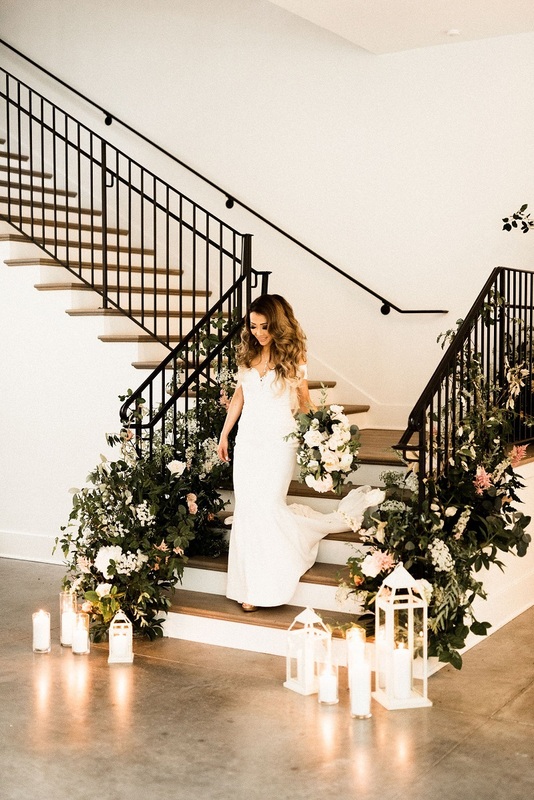 DeVasco’s Daughters styled and coordinated the event and incorporated their rentals into the design. Images are provided by photographer Josiah Davie with a full list of credits below. Tracey and Shaun had hot and humid weather on their wedding day but luckily this wedding was indoors at Muse Event Center in Minneapolis. Tracey had a vision of a large lush floral wreath to stand in front of for the wedding ceremony. 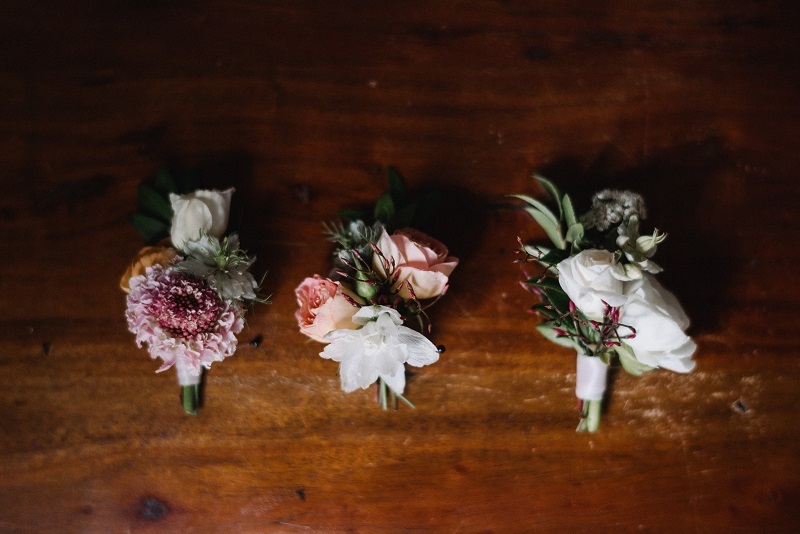 We used many different types of foliages, foraged appleblossom, vines and gorgeous spring flowers including tulips, peonies and spirea in shades of white and cream. 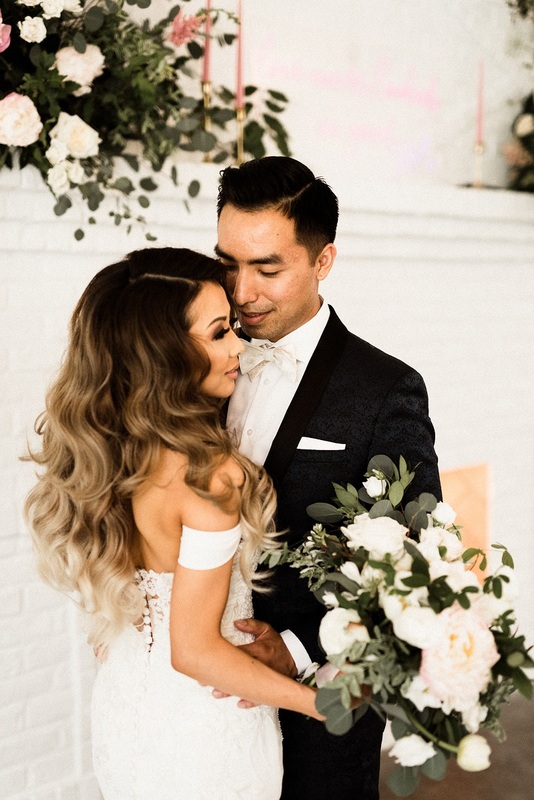 Mixed metals and cascading whimsical silk ribbons completed this romantic look for Tracey and Shaun. Thanks to Brittany at Lux Events for pulling it all together and Rochelle Louise Photography for the images. 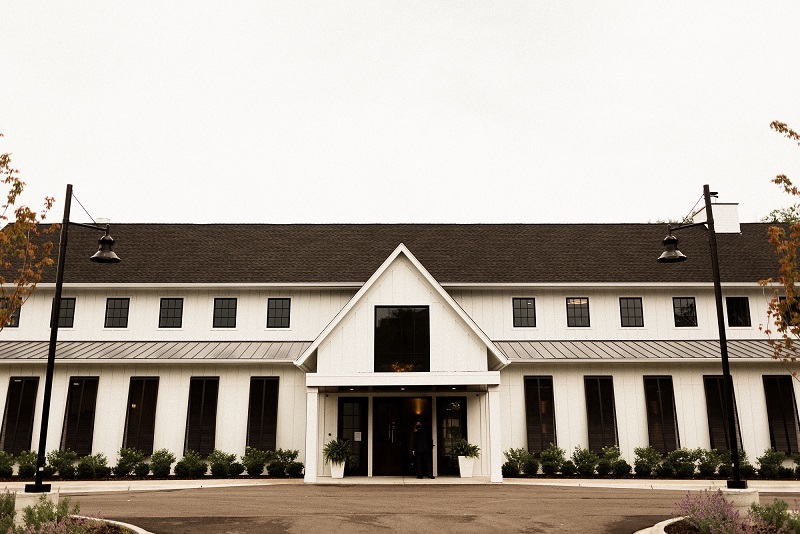 August weddings in western Wisconsin are always delightful and this late summer event at Birch Hill Barn in Glenwood City was no exception! Danielle grew up in the area and appreciated her family’s history nestled in the hills near Glenwood City. 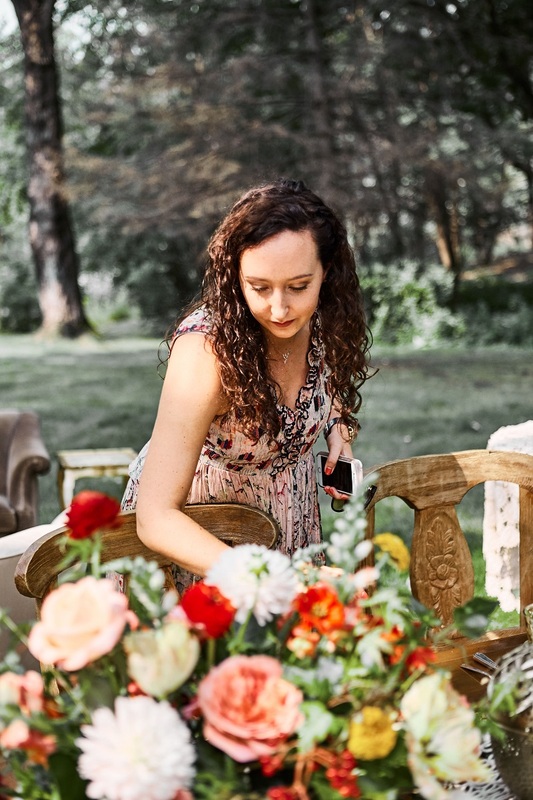 She requested romantic late summer neutral blooms with a just picked look and feel. 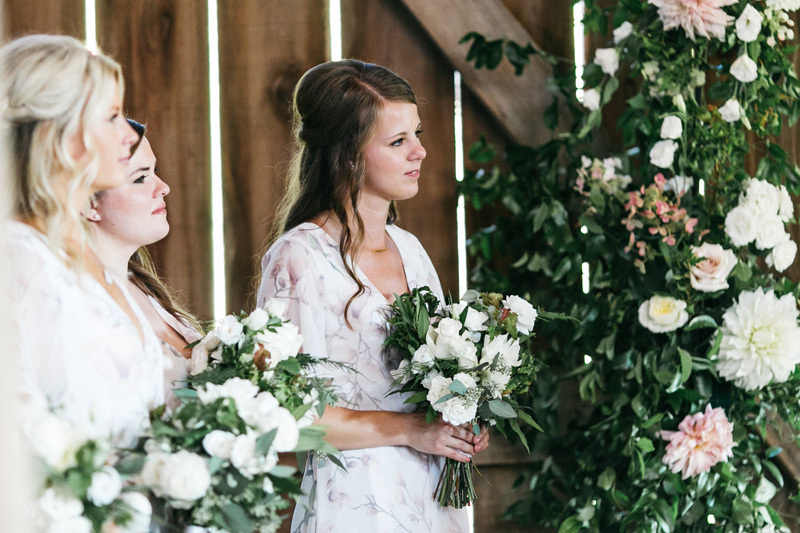 We incorporated many local blooms and foraged greenery along with some choice flowers grown in my gardens just for this wedding. Photos are provided by BethCath.